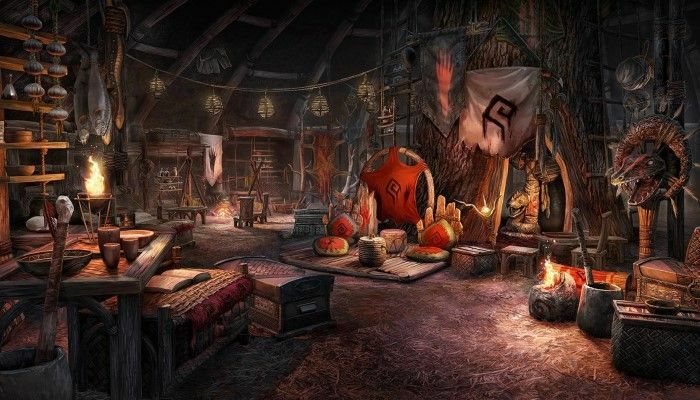 Previously, we know that Bethesda will introduce the housing system Homestead into the Elder Scrolls Online, but we don't the exact release date. Now the release date is confirmed. The ESO homestead will launch on PC/Mac on Monday, February 6, and for PlayStation 4 and Xbox One on Tuesday, February 21. Yes, the Februray will witness the coming of the housing system. Here let's look back to what the housing system will bring to us. "Homestead, included free with ESO's next major game update, introduces the long-anticipated player housing system. It also includes furniture crafting and robust home decoration options. With nearly 40 unique homes to choose from and over 2,000 individual decorative and furniture options to make each home truly unique, Homestead will allow you to make Tamriel your own like never before." Before the homesteadn patch notes is available in PTS. Do you join in? After its release, you can do everything for your home. " After completing the Homestead tutorial quest, you'll be given your first home: a modest room at a local inn. When you're ready to expand, additional homes ranging from a cozy tree home in Greenshade to a charming villa in Malabal Tor to a sprawling manor estate in The Rift are available across Tamriel." First, purchasing a home, then decorating and furnituring the home. You can see the initial announcement here. Do you get excited for your upcoming home? What are you gonna do? Tell us what you think. If you are looking for eso gold, our website ESO-GOLD.com is the best place to buy eso gold.